Hidden away in a side street on Broadstairs seafront is the old home of Mary Pearson Strong – a good friend to author Charles Dickens and an inspiration for a character one of his novels. The property, named ‘Dickens House’ before the end of the 19th century, was bought by the Tattam family in 1919. Their daughter Dora gifted it to the town and in 1973 it was opened, according to the terms of her will, as a museum. This house once belonged to Mary Pearson Strong, whom Dickens often visited whilst on holiday in Broadstairs, and who would chase the seaside donkey-boys from the piece of garden in front of her cottage – the garden is still there, and still belongs to the house. This was one of his inspirations for the character of Betsy Trotwood in 1850 novel David Copperfield, part of which he wrote in the town. According to the reminiscences of Dickens’s son Charley, Miss Strong was a kindly and charming old lady who fed him tea and cakes. He also remembered that she was adamantly convinced of her right to prevent the passage of donkeys in front of the cottage. 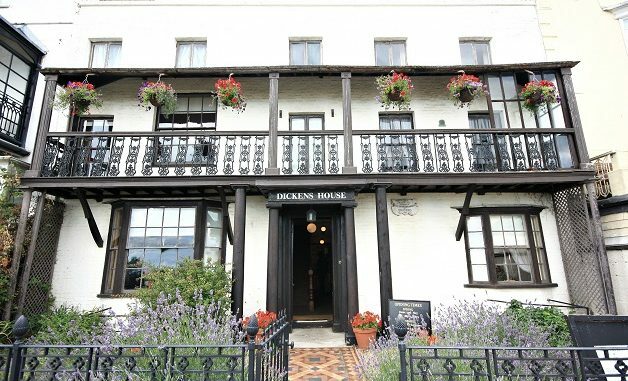 Dickens holidayed at the resort, writing parts of several novels at Fort House, high on the cliffs. He paddled at the beach, supped at the Tartar Frigate pub, and visited Mary. 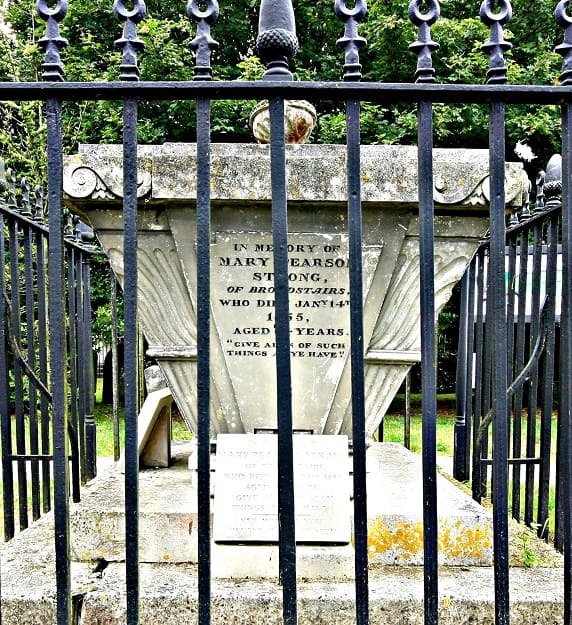 Mary died aged 84 in January 1855. She is buried at St Peters churchyard. Council cabinet members agreed to the marketing– inclusive of the premises, collections and staff – in October as part of their plans for authority owned museums on the isle. It may transfer to a voluntary or community group. Thanet council says the action is necessary as it does not have the funds to repair and maintain the premises. In a report to councillors it said a “decline in (the) condition of these assets will continue without substantial investment. A marketing team is putting together packs for the site and others including Margate Museum and Tudor House containing key opportunities and constraints. Stage 2 will take place during the early Spring of 2020. Marketing will include advertising and approaches for support through English Heritage, Heritage Lottery Fund, Arts Council England, Association of Independent Museums and other independent museum trusts. During this stage expressions of Interest will be invited, with bidders asked to submit their proposals by a defined date. Stage 3 would be a shortlist if there are enough expressions received. The shortlisted applicants would be asked to meet with officers to review their proposals. After this a preferred party would be chosen and a recommendation put forward for approval. The proposal will now not come back to Cabinet for at least one year. As the property was gifted, free of charge , to the town, shouldn’t it be given, free of charge, to a suitable body that will maintain it as a museum and asset to the town? This isn’t a “get rich quick” business. This is an area and a Council with thousands of inhabitants, not just a few Managing Directors to satisfy. If the Council no longer has the money to keep the building going, so be it. Let it go to a charity or Trust with the funds necessary. But don’t burden the new owners with a mortgage as well.Like I say, the building was given to the town for free. TDC should not be selling off “the family silver” – all those properties and plots of land donated “to the town” by previous philanthropists. Too many public parks are slowly but surely being eroded and “capitalised” to prop up the failing Council (regardless of whichever political colour is supposedly on charge that particular day). Once sold off, we will never see the likes again as the area no longer has the likes of Sir Moses Montefiore, Dame Janet Stancomb-Wills, etc., with the land and money to donate for the benefit of the area and it’s residents. If TDC made more effort to collect the many millions of pounds owed to it in unpaid debts (rents, council tax and business rates} then the books could be balanced and sell-offs and cut-backs would not be necessary . . .